Despite standing behind the bench and enduring the most regulation losses in the NHL this season, Todd McLellan has been surprisingly patient in his post-game press conferences. Tuesday’s loss was one of the rare times McLellan was fired up, and his frustration was split between the referee’s decision to allow the Ducks’ first goal, Benoit Pouliot taking two undisciplined penalties and players not grasping an opportunity. The interesting part is he was also happy with how his team played for the majority of the game, which I would agree with, but it was clear his patience had worn thin with witnessing the same bad decisions and mistakes. What annoyed McLellan the most was Pouliot’s undisciplined penalties. “Dumb penalties, he didn’t get to play very much. It’s not rare (taking penalties) for our team right now. We just addressed it (cutting down on penalties) yesterday and it is unacceptable. We can’t keep marching to the freaking penalty box, time and time again because of those penalties. We slash a guy’s stick out his hands early, and then we reach in the third period. It doesn’t work that way,” said McLellan. I like Pouliot’s game. He is a solid complementary player, and he doesn’t take a ridiculous amount of penalties (14 this year), but the ones he takes are often ill-advised. He is one of the few Oilers who is aggressive on the forecheck, and McLellan can live with him taking the odd offensive zone penalty because of his style, but the two he took on Tuesday weren’t from being aggressive. They were selfish and Pouliot paid the price. I have no issue with the coach coming down hard on him especially in the first game after he told the players to smarten up. If McLellan doesn’t send a message he loses respect from his players. He had no choice but to show the players that veterans will be benched if they take undisciplined penalties. I find too often people overreact over one bad game. Yes, Pouliot is repeat offender of offensive zone penalties, but he does more good than bad, and I will live with a player who plays on the edge, but sometimes crosses the line. You can’t expect players to push right to the edge and never fall over. If he takes that penalty on a hard forecheck, McLellan has no issue, but retaliating will get you demoted. Pouliot might start tonight’s game in the bottom six, but I don’t see him staying there long-term. McLellan is setting the tone for this team. There has to be accountability, and I believe it carries more weight when he benches a top-six forward than if he benched Anton Lander or Adam Clendening. McLellan was also unimpressed with Nail Yakupov’s play. “He gets to take the icetime I took away from Poo (Pouliot), and not a lot of success there either,” he said bluntly. He also referenced a few other players who didn’t take advantage of an opportunity. “It was on a plate today for a couple of them. You couldn’t tee it up any better,” said McLellan. Players have to take advantage when an opportunity presents itself, and McLellan had four different players play with McDavid and Eberle. It seemed like he was displeased with their inability to take hold of the situation. McLellan’s frustration with Pouliot was about one game, not an entire season, but his frustration with Yakupov has been more than just one game. Yakupov simply has not improved in how he sees the game. Once people get past the “white noise” excuse of who he plays with, they would see he has not improved how he sees the game. Watch closely what he does with and without the puck. He gives the illusion he is working hard and doing a lot, because he’s like the video game where you hit boost and he surges out with an extra shot of energy for 15 seconds. Yakupov takes four or five quick strides with the puck, stick handles it multiple times, but ultimately accomplishes nothing. Just watch how he reads the play. Where he goes on the ice, his puck support. Those things need to be the foundation of his game regardless of who he plays with, and they aren’t. Multiple coaches have shown him video of these deficiencies and he’s yet to improve it. If he does improve them, he will play. He tries hard. He doesn’t back down, and he has skill, but from my view McLellan doesn’t have much faith in Yakupov’s willingness to work on the weaknesses in his game. Coaches have shown him what they are, it is up to him to work on them. Oilers had an optional skate this morning, so we won’t know the lines, but if we go off of yesterday’s practice Matt Hendricks will start with McDavid and Eberle, while Pouliot, Lander and Yakupov will skate together. Clendening draws in for Gryba and will likely play with Brandon Davidson to start. Anders Nilsson and Nikita Nikitin were recalled yesterday, while Laurent Brossoit was returned to the AHL and Eric Gryba is on the IR for a month with a knee injury. 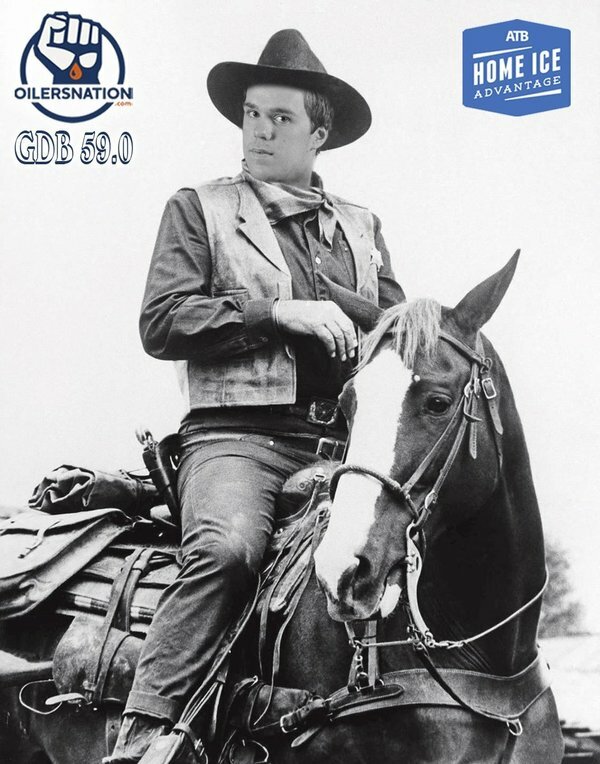 Gryba’s injury will keep the Oilers near the top of man-games lost due to injury. The Oilers sit second at 240 games, six behind the New Jersey Devils, but the Oilers still lead the league with the greatest cumulative impact of injured forwards or defensemen by the IIT-skater metric according to ManGamesLost.com. Devan Dubnyk is 0-2-1 on the second night of consecutive starts. The NBA All-Star weekend was in Toronto, so many hockey pundits watched it closer than usual and many have written about how excited the players are to be there compared to NHL players. I believe NHL players are excited, but the main difference between the two league’s is that only 24 players make the NBA all-star team, compared to 40 in the NHL, and not every team is represented in the NBA. The best of the best are chosen, and that is the one change the NHL should make. Players are honoured to be picked. Kobe Bryant was voted in based on his 20 years in the league, but other than that it was the elite of the elite. If the NHL took the best 40 players, not one from every team, and definitely not an equal amount from each division, the prestige of being picked would be better. The game will never be fast-paced, which is fine in my eyes, but NHL players would look at it differently if they knew only the best players would be there. The NBA all-star weekend is an event as well. They have many celebrities who show up, especially musicians. The NHL is starting to do it, but they need to make it more of an event. This year’s event in Nashville was a good start, but they need to make it more of an event and only pick the best players in the league. Former NHL goalie Corey Hirsch had a great video presentation on how the NHL can shrink goalie equipment and still keep it safe. When you watch the video the changes are significant and the goalie looks much smaller. I hope the NHL takes notice. Slow clap for the Kamloops Blazers and their idea to honour their teams of the 1980s, by wearing Propac pants AKA Cooperalls. This is the best. The Best. Tomorrow, on my show, I will be auctioning off a Game Day package complete with limo ride in the NationLimo, four tickets to Saturday’s game, a $200 Pint GC, and two crested Oilers jerseys! All proceeds will go to benefit Put a Lid on a Kid as brought to you by United Cycle. After 6 weeks of truly dreadful hockey, miserable losses, and simmering frustrations that got coach Mike Yeo fired, the Wild could come back to Minnesota tonight with an honest-to-God winning streak. A win tonight makes it 3 in a row for the Wild, a feat they haven’t accomplished in over two months. I know, I know. It’s weird to think it was possible, but here we are. All they have to do is dispel the woeful Edmonton Oilers tonight. Pretty easy, right? Sure. The Oilers don’t consistently finish with the #1 Overall pick in the draft for nothing. Despite having their pick of the litter in 4 of the last 5 drafts, the Oilers at 29th in the standings, with only the Toronto Maple Leafs standing in the way between them and maximum embarrassment. Thing is, the Oilers might be one of those teams that are out of the playoffs, but suddenly click and go on a meaningless second-half run that gives their fans some hope (think Columbus last year). Since the calendar flipped to 2016, Edmonton’s actually done decently in the possession battle, controlling a respectable 49.4% of the shots. And there was a good chunk of that stretch where the Oilers were without Connor McDavid. McDavid returned at the start of February, and since then he’s picked his game up where he left off when he broke his collarbone back in November, notching 4 goals and 9 assists in just 8 games since. That’s insane production. GAME DAY PREDICTION: The Oilers haven’t lost three consecutive home games all season. They’ve lost two in a row five times, but they avoid their first three-game home losing streak with a 4-2 win. OBVIOUS GAME DAY PREDICTION: McDavid only has two points in six games versus the Central division, while he has 23 points in 15 games versus the Pacific, Atlantic and Metro (five games each), but he notches two points tonight. He remains hot on Thursdays. He has nine points in five Thursday games this year. NOT-SO-OBVIOUS GAME DAY PREDICTION: In his 50th game, Lander scores his first goal of the season, ending a 61-game drought dating back to March 16th, 2015. NOMINATE YOUR HOME ICE HERO! Celebrate the volunteer, parent, coach or organizer who keeps the game going and asks for nothing in return. Nominate your Home Ice Hero and they could win a prize worth $5,000. Nominate your hero and you could win just like the latest winner Colby Stone. Monday Mailbag – What is the Oilers biggest need? Who gets the honour to play with Connor? I hope some team at some time plays Jultz at LW and he scores 20 goals there… Play decent two hockey for a forward…. I hope your Lander NSOGDP comes true! He is a fiend on the dot and deserves a little puck luck on the scoring chances. If Lander scores tonight we need to see if Gregor weighs the same as a duck. I wonder what the G.A.A is going to be if the NHL follows Hirch’s recommendations with goalie equipment. The graphics to show the difference between what equipment is now and what it could be was pretty cool to see as well, that’s a lot of space for a goalie to cover quickly. It was unreal to see the carbon fibre pads. That little bit of protection stops a 100 mph slap shot ?? I’m not sure that I wouldn’t prefer a sick Kass over a well Yak. I don’t think it is reasonable to blame the coach for player’s sickness. No, you don’t have this right. On the NBA all star game, I was surprised (living in Toronto) at the number of community events the players went to: helping out at community kitchens, co-hosting workshops with young players, engaging with retired players, and generally supporting communities with an honest appreciation for what the game can do to help people. Frankly, it was above and beyond the call, and something I never associate with the NHL game. The whole vibe for the entire weekend was very low-key, fun and open. The players deserve a lot of credit for the way they reached out and led the way. I’ve always had a lot of time for Yak. Still do in fact. But I suspect his time with the Oil is (rightly) coming to a close. He has the skills that could still turn him into a top player in the NHL but he has yet to adapt himself to the NHL. Unfortunately the Oil are now in the stage of the Infinibuild where they don’t have the time to keep trying to develop players. They need effective players to cluster around McDavid to finally get this train on the tracks and moving forward. Like everyone else, I expect Yak is gone either now or the summer to some team willing to take a potentially high reward gamble. The Oil are slump busters, playing a team they seem to lose to way more often than not, and their goalie is an ex Oiler that got tossed under the bus. The curse is real, they will need some voodoo to win this game. Dubnyk never got tossed under any bus. He played himself out of a job then out of the league. Then played himself back into it. This has got to be arguably the worst game to attend this year. Woohoo for an incoming 2-0 loss! Its never boring to attend an oiler game, we have the best fans in the NHL, considering our record. Have you been to an Oiler game where they get shut out? I’ve been to a lot of them. It’s very boring. Oilers when playing well/scoring goals, now THAT is when attending games is super entertaining. The energy in that building can be just flat out wild. Gives me goosebumps just thinking about it. Unfortunately, we don’t see that much…. I went to the Carolina game this year – the one that ended 0-0 before the shootout – something that had never happened in oilers history if I recall – and it was pretty damn boring. played EA NHL16 last night. they have Yak on the 2nd line (left side). he looked great. might have been the fact that he was in the McFarland silks, might have been because he could aim. Excellent video by Hirsch! Goalies look like lumbering turtles out there now. I think there are 3 problems with Yak. His biggest problem is that he is not as good as he thinks he is. I believe he considers himself as elite type of player. His second problem is that he is obviously not taking or listening to any of the constructive criticism that his coaches are trying to point out. This is evident to me by Yak showing very little improvement or change in his play. The third problem Yak seems have is language and his comprehension. Whenever he is interviewed in a media scrum, he seems to repeat the same thing regardless of the question, or says something that doesn’t quite make sense or pertain to what was asked. Maybe his understanding of english is a little behind, but he speaks english well. Just my opinions. I love these Clowns criticizing McLellan. Probably a top 5 coach in the league. Ask yourself this question.. would You be able to completely rehabilitate the leukemia-esque attitude in the Oilers’ locker room? In one season? With the exact same core as there has been the last few horrendous seasons? This season is over, the Oil are sellers in a week and a half here, stay tuned for a blockbuster this offseason. Bringing in a stud D-man with a right shot. All this about Letestu having bad possession numbers yadda yadda, wanna sub Anton “Bantam” Lander in for him? I wanna see McLellan sit these cry babies at the end of the bench a lot more often, similar to how he sat Hall a few weeks ago. The team attitude and culture is still a huge problem, folks. Moves WILL be made. This has been Chiarelli’s FIRST year as head honcho. A lot of bad luck with injuries has made it another painful year. But don’t rip on player’s who are being given minutes and situations that they aren’t meant for. It’s not Letestu’s fault that his numbers are down. It’s the management prior to Chiarelli’s fault. If I didn’t know any better, I’d say that you’re an idiot. As long as we get one past Dubnyk I’ll sleep ok tonight. Yo may think it is a meaningless game, as popular opinion says we are well out of the play-offs, but we are not that far out from having a relatively respectable .500 season. I also think Chia has seen all he needs to see as far as the mental/physical talents of this current iteration. Now is the time for players to put out and change his mind. Frankly, McDavid, RNH, Dria, Hall(maybe), Nurse. Klef, Talbot is all we need to start OilerBuild v.3. I have never been in love with the rest of our old core. We are thin on the farm, we need lots of draft picks to achieve depth down there. It is a lot easier to bench an NHLer, if you have a hungry farm kid sniffing around. The injuries to Klefbom has been a factor, hes been our best defencemen, and the oilers record without him, has been absymal. its not an excuse its a factor. Pretty soft line up only Nurse and Hendricks with any push back. 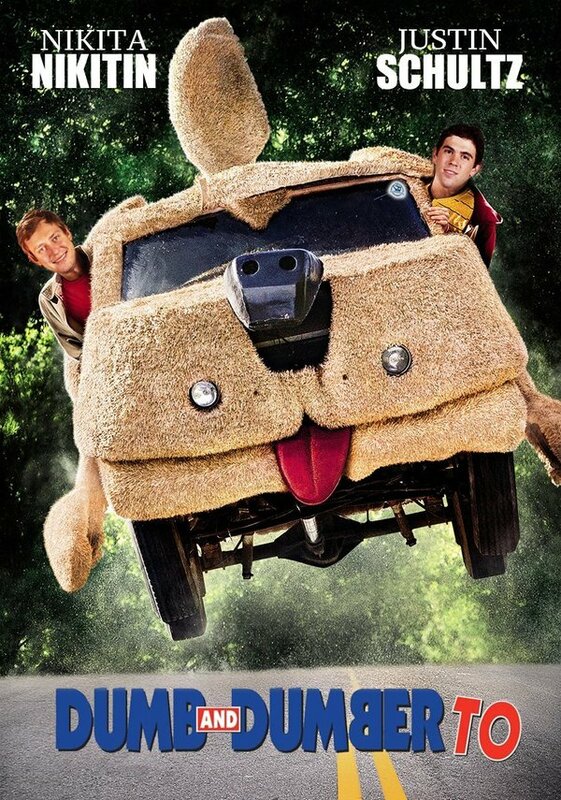 Yak and Lander will not score tonight because of Dubnyk… he’s too good… hope I’m wrong. It’s funny that Devan was to blame and shipped out because he couldn’t and it wasn’t the fault of the defense that he played behind, yet that same defense is used as an excuse as to why the “core” hasn’t been able to win. Hey did you guys know that 80% of the Oilers are fringe NHL players. Every summer, players who either face retirement, a trip to the AHL, or are forced in by way of draft make the phone call to YEG looking for a paycheck! Nice to see Pouliot get promoted to McDavid’s line after the last game, he definitely earned and deserves it. Step your game up Eddie, it’s easy to whine about everything. I don’t whine about everything, just about the obvious. Why bother then, if it’s so obvious. Dubynk was chased out of town, Yak hasn’t had a fair shake with quality line mates, Ebs is useless, Coach hasn’t done well with the players, Hall took my mom out for a steak and lobster dinner and never called her again, BLA BLA BLA. You are a slightly more literate Verdad. Because the Oilers and their Media Minions spend a lot of time and money trying to hide the obvious and convince otherwise. Spending a lot of time, NOT making money, pointing out the obvious is not the answer. Nor does it influence anything the management or team does, soooo, why? Most come on ON to chat Oilers, not regurgitate the same old line, over and over and over. I get it, you hate Hall, Bradley loves Schultz and Verdad thinks Chia could do a bit better of a job. Packing Justins things for their big move. Either submit your extensive resume to be coach orSTFU! I already submitted my resume, so you STFU.!.. Well obviously it was rejected. Makes you wonder doesn’t it? Maybe you’re not as smart as you seem to think you are. Remenda quoting Dumb and Dumber – appropriate! That goal doesn’t happen unless you have world class speed like McDavid! Oh look who came strolling out of the penalty box atta boy ! Eberle has to at least pretend he is trying in his own zone. Sweet lord thundering jesus, Yak scored at home!!!!! !